Today we celebrate Bear's birthday. .He would have been 16 years old today. We never knew our brother Bear. His legacy was creating smiles around the world, both live and virtually. We aspire to try to be as awesome as Bear and make our Mom and Dad just as happy as he did . 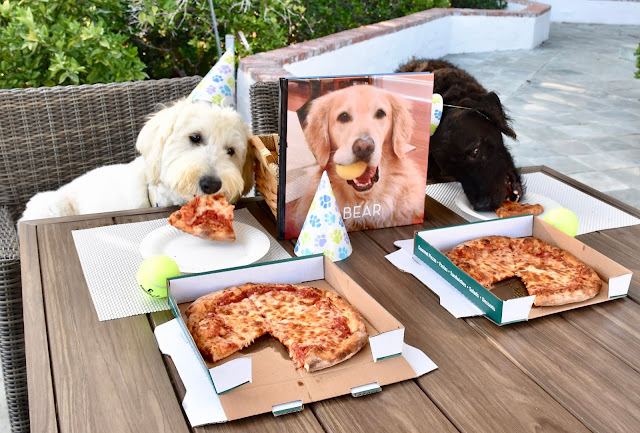 Bear loved pizza, so we celebrate Bear's Day with a pizza party. Since we would, but can't virtually share our pizza, why don't you treat yourself to a slice for Bear today? I just know that would create a Golden smile in heaven..
P.S. For all those who loved Bear and all those that may want a smile, here is his tribute video also on his blog Love Always Bear. Happy Happy Birthday Bear!! We still think of you often and miss you. 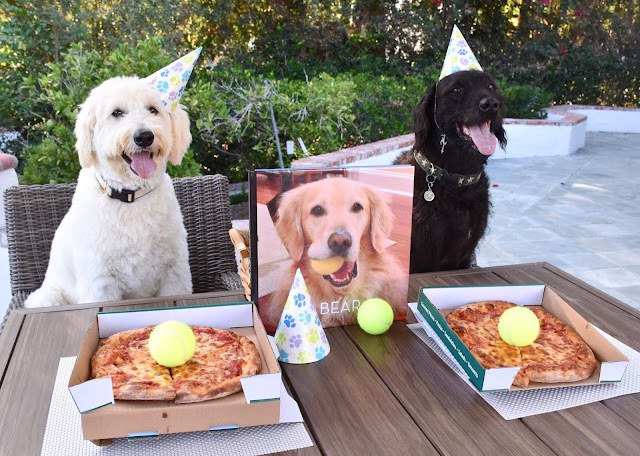 A pizza party is the purrfect celebration!